Son of a cobbler, José de Ribera was a painter, printmaker and draughtsman who lived and worked in Naples throughout his career. Almost nothing is known of his early training in Spain although some authors have suggested that he had contacts with Francisco Ribalta. Again, little is known of how he arrived in Italy or where he went before he is documented in Parma, and this period in his life can only be hypothetically reconstructed. It is known that he was in Parma in 1611 on the basis of a payment for a canvas of Saint Martin dividing his Cloak for a Beggar for the church of San Prospero (now only known through copies). Between 1613 and 1616 Ribera was in Rome and is mentioned in a document of the Accademia di San Luca in 1613. According to his contemporary Giulio Mancini, the Pope’s doctor, Ribera led a disorderly and licentious life in Rome and was obliged to flee to avoid his debts. In the summer of 1616 he moved to Naples where he married Caterina Azzolino, daughter of a Sicilian painter. Ribera became extremely celebrated in Naples and worked for a wide range of clients including merchants, Spanish and Italian aristocrats and even the Viceroys, including the Count of Monterrey, for whom he painted one of his masterpieces, The Immaculate Conception, for the Augustinian convent in Salamanca. The second half of the 1630s is considered to be Ribera’s most creative and prolific period and many of his best works date from this time. During the following decades he suffered from a lengthy illness that obliged him to remain inactive for long periods and his large, well-organised studio executed his commissions. Works by Ribera are recorded in collections in Spain from the 1630s onwards. Among his pupils who trained in his studio were Luca Giordano and Aniello Falcone. 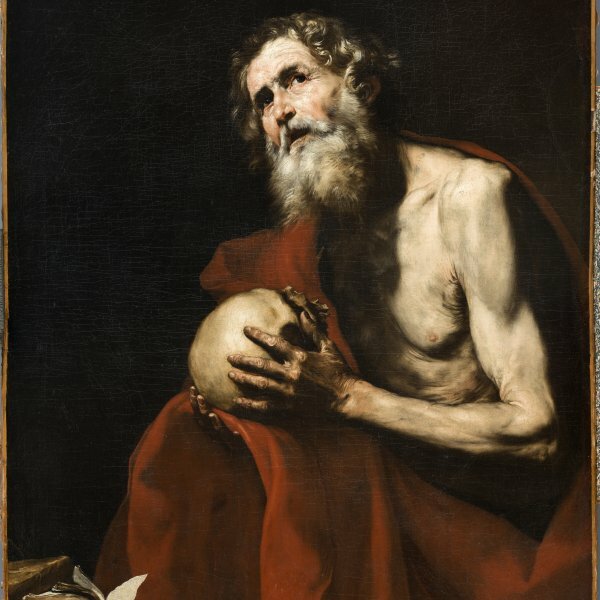 Ribera’s style influenced Neapolitan painting of the following generation as well as Spanish artists, familiar with his work through the numerous examples that reached Spain.